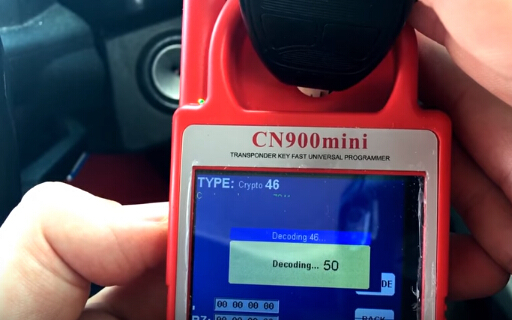 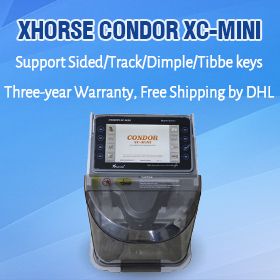 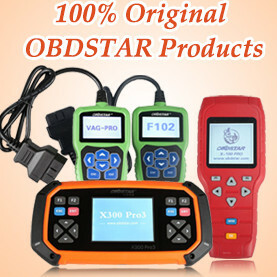 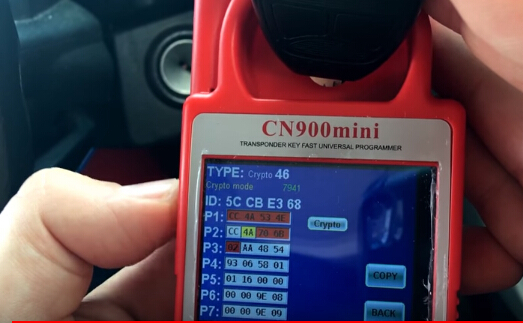 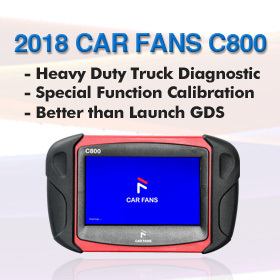 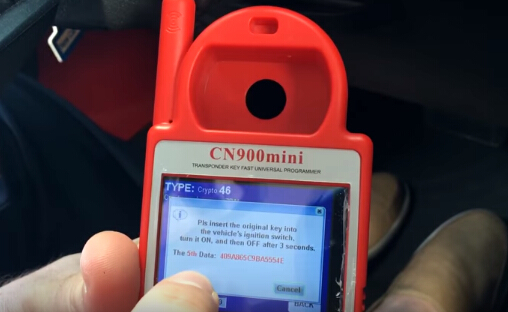 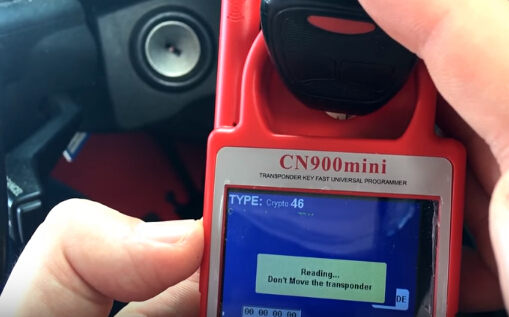 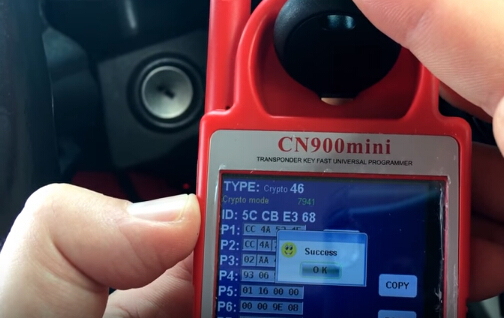 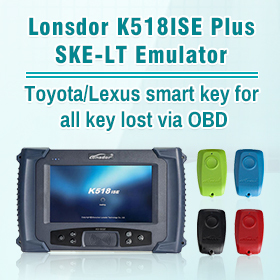 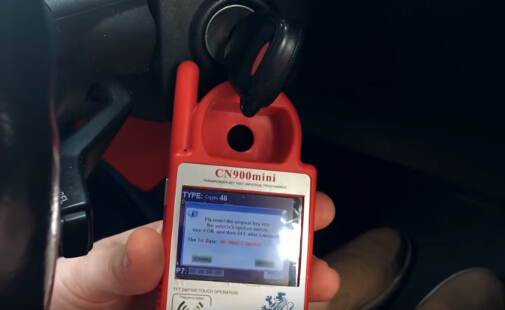 Here’s guide to clone a chip key on Chrysler, Dodge, Jeep that requires sniffing aka snooping using the CN900 Mini or ND900 mini cloning machine. 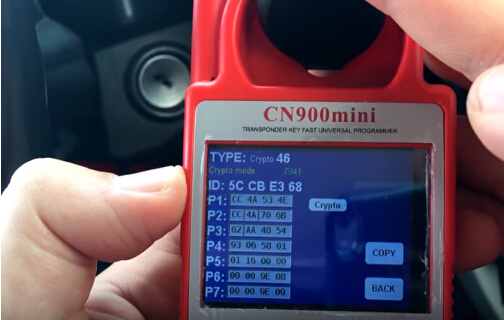 This particular vehicle is a 2014 Jeep Wrangler and used a Y159-SH with a CN3 chip inside. 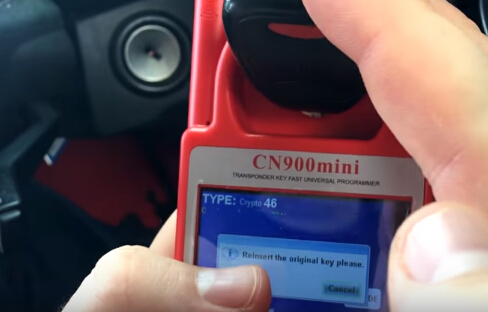 Insert the original key into vehicle’s ignition switch, with the sniff-antenna close to it. 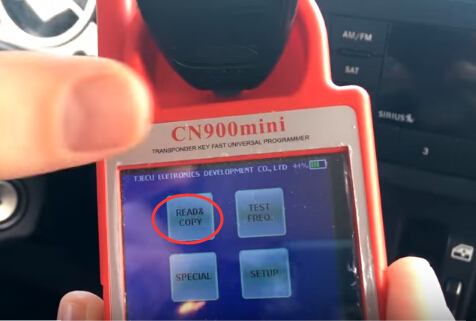 Reading data. 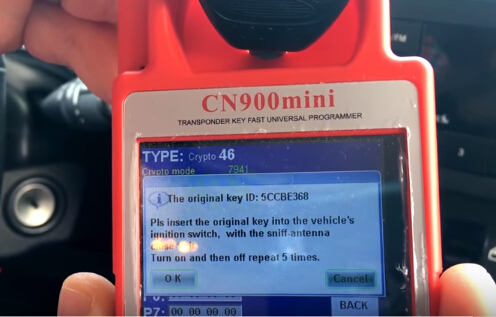 Don’t remove the transponder. 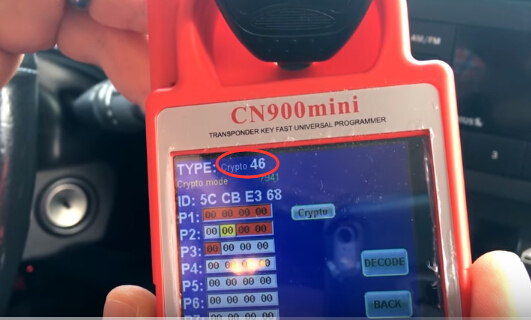 Decoding 46 chip.. wait until it process to 100%. 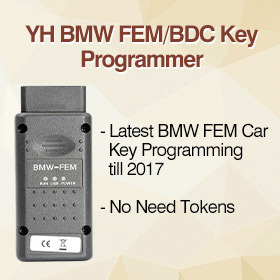 Now you can start vehicle with the new key.